Nearly every student, at some point between the time they first enter kindergarten and the time they throw their graduation cap in the air at the close of their senior year of high school, experiences disciplinary measures at school. 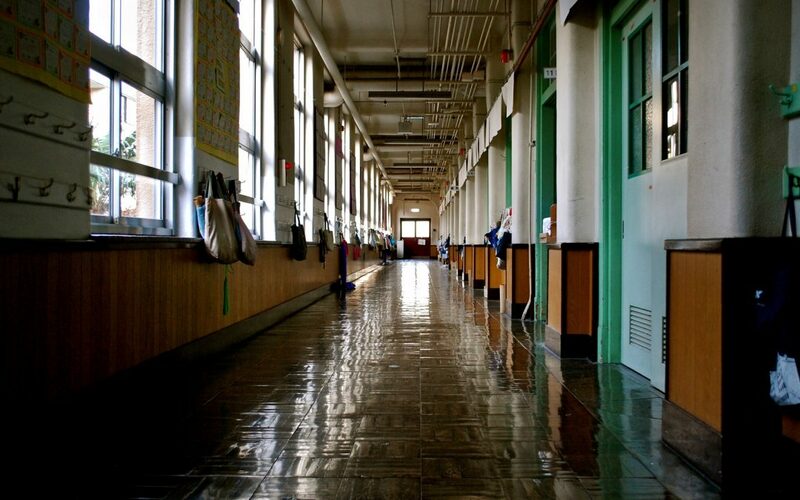 Whether for tardiness, talking during class, or more serious offenses like bullying, fighting, or vandalism, these behaviors and more are met with consequences that range from verbal warnings to detention, suspension, or even expulsion. The goal, of course, is to ensure a safe and productive classroom, instill collective values in students, and teach them about the consequences of negative actions before they go out in the world. Recent scholarship, however, shows that many students face discriminatory discipline at schools that does far more harm than good. In March, the Government Accountability Office, the nonpartisan watchdog arm of the federal government, published a report that showed while black children made up approximately 15 percent of the public school student population, they comprised about 39 percent of those suspended. And while this study has raised concern, it does not address the full spectrum of disparities faced by every group. Aunrika Tucker-Shabazz is a second-year Ph.D. student in the U-M Department of Sociology and has devoted her research to studying the impact of discriminatory discipline in public schools on black girls. As social movements like #SayHerName continue to address the historic exclusion of the plight of black women from stories of discrimination in the United States, Tucker-Shabazz is taking that perspective into the public school classroom. A recent study from the National Women’s Law Center (NWLC) found that black girls in every state are twice as likely as their white peers to be suspended without an equivalent increase in misbehavior. In Pennsylvania, Wisconsin, and Illinois, they are five times more likely than white girls to be suspended. This imbalance begins at a very early age. The same study shows that while black girls comprise 20 percent of preschool students in the United States, 54 percent face suspensions. In some cases, girls ages 3 to 5 are even put in handcuffs and arrested. These inequities, according to the study, build up to have significant impacts on black girls later in life. They become less likely to graduate and more likely to be unemployed, as well as 10 times more likely to face incarceration. As she began the first phase of her research, Tucker-Shabazz quickly found that, outside the NWLC study, little work has been done on the impact of discriminatory discipline on black girls in public schools. For the next phase of the project, Tucker-Shabazz will begin studying the role of power and discretion in school discipline. By analyzing the content of student handbooks and how teachers are trained to discipline students, she hopes to develop an understanding of how closely teacher and student behavioral expectations match. If, for example, teachers are allowed the discretion to punish students for being “sassy,” but the students are not told that in their handbooks, problems can arise. 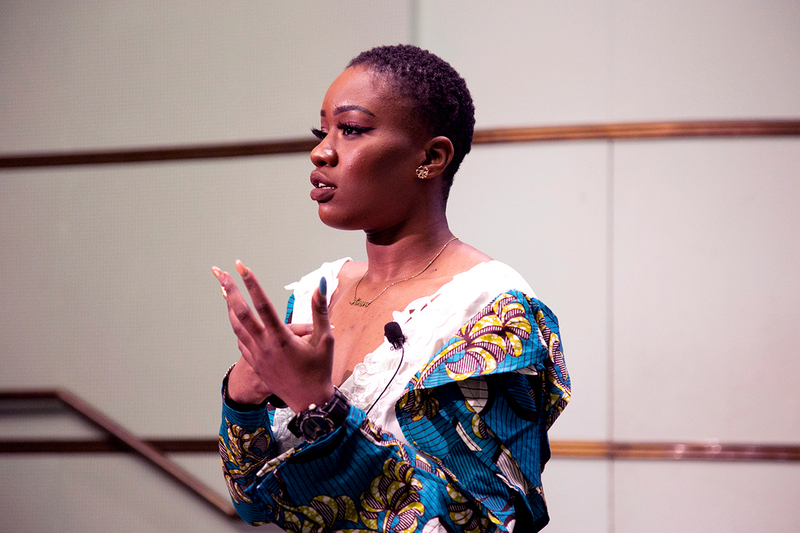 Aunrika Tucker-Shabazz presented her research on the effects of discriminatory discipline on black girls at this year’s King Talks, an annual event hosted by Rackham in which graduate students present TED-style talks on their research as it relates to the legacy of Martin Luther King, Jr. In the third phase, Tucker-Shabazz intends to take her work into the field by observing classrooms in Ypsilanti and Ann Arbor and seeing firsthand how disciplinary policies are implemented and affect the day-to-day lives of students. The outcome, she hopes, will be to provide people with the tools to both recognize inequities in schools and empower them to make positive changes. “Being conscious of our biases and the stereotypes that cause us to treat people differently isn’t a requirement for creating inequality, but it is a requirement for decreasing it,” Tucker-Shabazz says. “My goal isn’t to shame or demonize a particular population of people, because the reality is we’re all conditioned to see black girls as more aggressive, more promiscuous, more frightening. Becoming aware of that is the gateway to being able to change it.